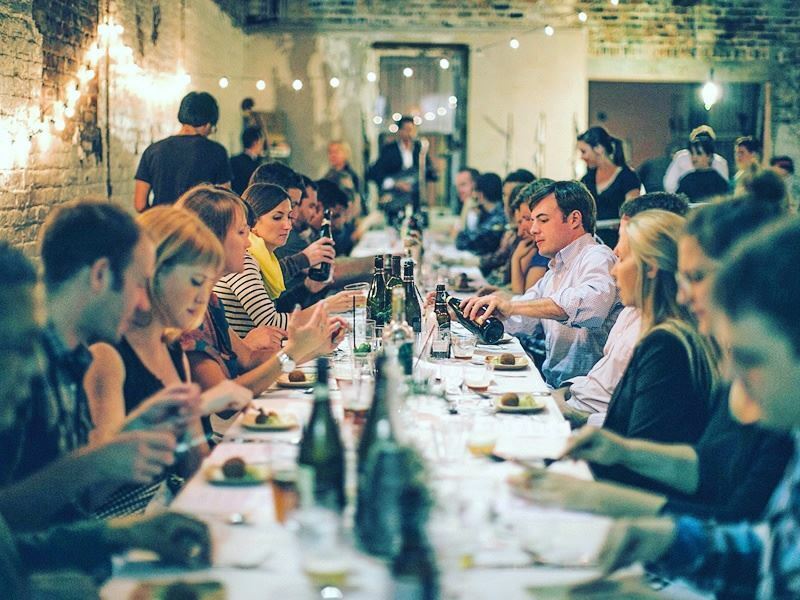 San Francisco’s restaurant scene is truly booming, with exciting new dining venues opening up at a smoking pace that even the local foodies can’t keep up with, never mind travellers just visiting for a week or two. 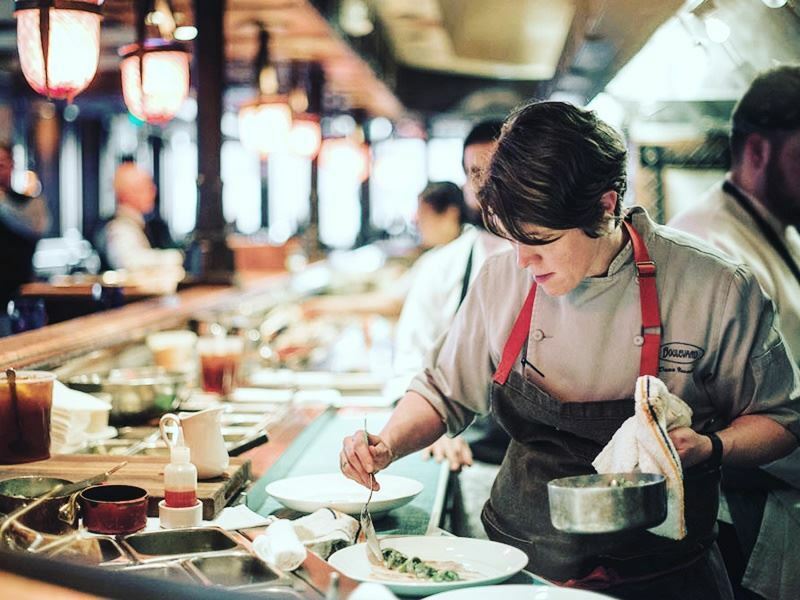 So you don’t get overwhelmed with recommendations of restaurants you absolutely must try from anyone and everyone, we’ve put together a list of the top 10 restaurants in San Francisco, guaranteed to tickle your taste buds and excite your senses. Where: Delfina is located at 3621 18th Street. The scene: With wooden bench seating, yellow painted walls and a casual bar-like tall table running through the centre, you’ll get the feeling that you’ve stepped straight into an upmarket pizzeria in Italy as soon as you enter Delfina. This superb Italian restaurant manages to create Michelin star-worthy cuisine, such as melt-in-the-mouth homemade pasta and stunning specialities on par with that which you’d expect from a restaurant in Florence, all in a casual, non-assuming environment. Reservations are booked up months in advance, which means the dining room is always buzzing with a vibrant atmosphere created by excited diners who have been waiting months for a taste of Italy served by a well organised team which make everyone feel at home. Signature dish: Grilled calamari and white bean salad: delicate white beans floating in a rich and tasty broth, topped with crispy calamari, juicy olives and crunchy salad leaves. 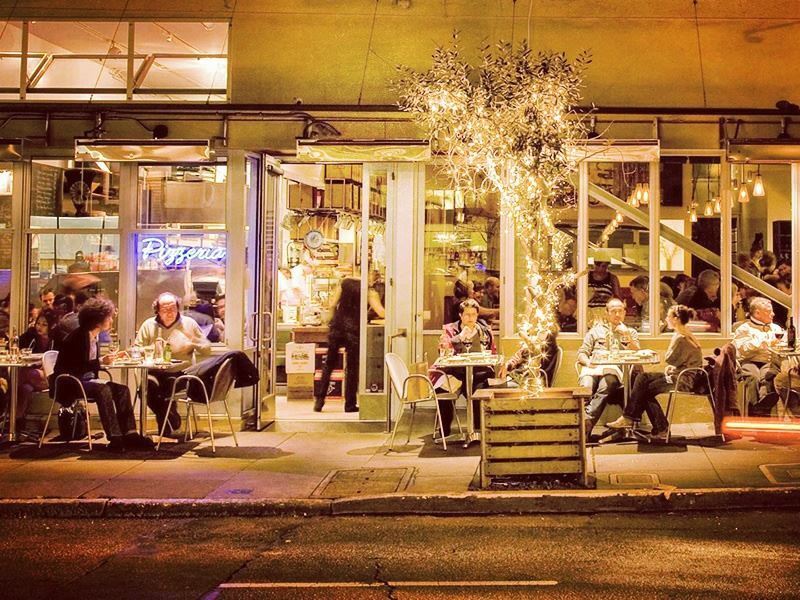 Where: You’ll find SPQR at 1911 Fillmore Street, near Bush Street. The scene: The place for adventurous foodies to sample amazing flavour combinations and Italian speciality dishes you won’t see anywhere else, SPQR consistently nails the risks it takes with its menu, much to the delight of its diners. Here genuine passion and honest enthusiasm for Italian cuisine really shine from the talented chefs who work in the open kitchen. The narrow dining room, where almost black vertical wood panelling and tightly packed tables starkly contrast with the light cream walls, is always full of a broad spectrum of guests, making everyone feel instantly welcome. If it wasn’t for the bright light which shines through the restaurant’s glass front and the soaring ceiling dotted with more illuminating skylights, SPQR could easily feel cramped and small. But as it stands, it’s much closer to the type of modern, bustling trattoria you’d find in Rome. Signature dish: Any pasta dish. Since every piece of pasta is made freshly by hand and flavoured with innovative and out there ingredients, any pasta dish on the menu is always going to be a winner. Where: Boulevard is situated at 1 Mission Street. The scene: Even after more than 20 years of daily service, Boulevard is just as beautiful today as it was when it served its first diner. From the romantic belle époque details at the entrance to the delicate mosaic floor which leads to the bar and the polished bronze adornments liberally decorating the dining room, this Californian restaurant immediately grabs the attention of all diners and even those just passing by. Despite the heady décor, Boulevard appeals to everyone, from expense account locals enjoying a business lunch to out-of-towners treating themselves while on holiday. It could be the high-octane dining room which always feels like the best party in town or the excellent staff who are attentive without being overbearing. The more likely reason is the fresh and seasonal menu crafted by chef-owner Nancy Oakes, known as a true pioneer of Californian cooking. Signature dish: The Angus fillet, served with summer truffles, matchstick potatoes, white asparagus, wax beans, Béarnaise sauce, sautéed chard and a Bordelaise sauce. Where: Rich Table is based at 199 Gough Street. 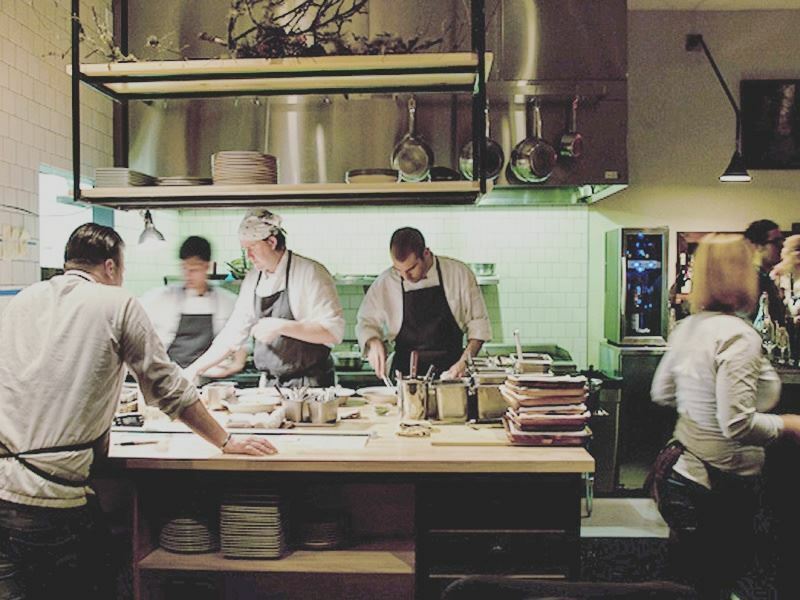 The scene: Offering a much more homely, comfortable and casual atmosphere than many other top restaurants in San Francisco, Rich Table is run by a chef duo who believes that dining out should be fun, relaxed and exciting. The modern, almost humble interior design gives the dining room a laid-back café-like feel, but the gourmet menu will assure you that Rich Table is much more than a place to grab a coffee and a light bite. The menu is changed every day to showcase the freshest, locally-sourced ingredients and give the chefs plenty of scope to experiment with intriguing flavour combos. Classic, comforting Californian dishes reign supreme, each with its own with unique, modern twist to keep things interesting, like the ever-popular chicken soup topped with bacon, greens and almonds. 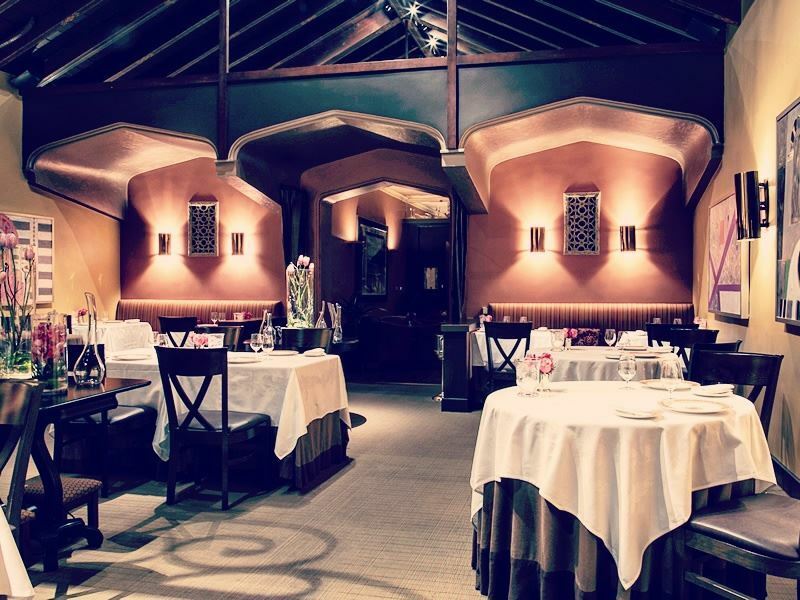 Signature dish: With a nightly changing menu, there is no signature dish at Rich Table. However, there is always a delectable panna cotta definitely worth leaving room for. 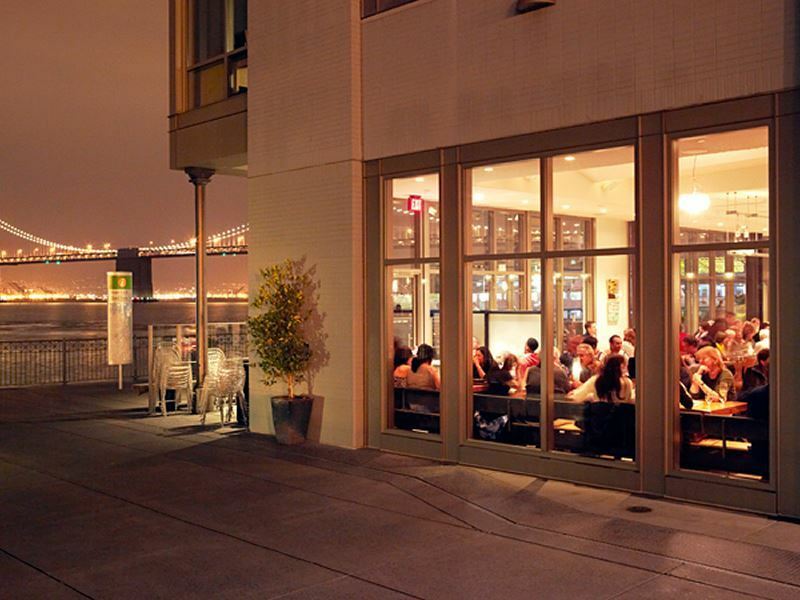 Where: You’ll find the Slanted Door at 1 Ferry Building #3. 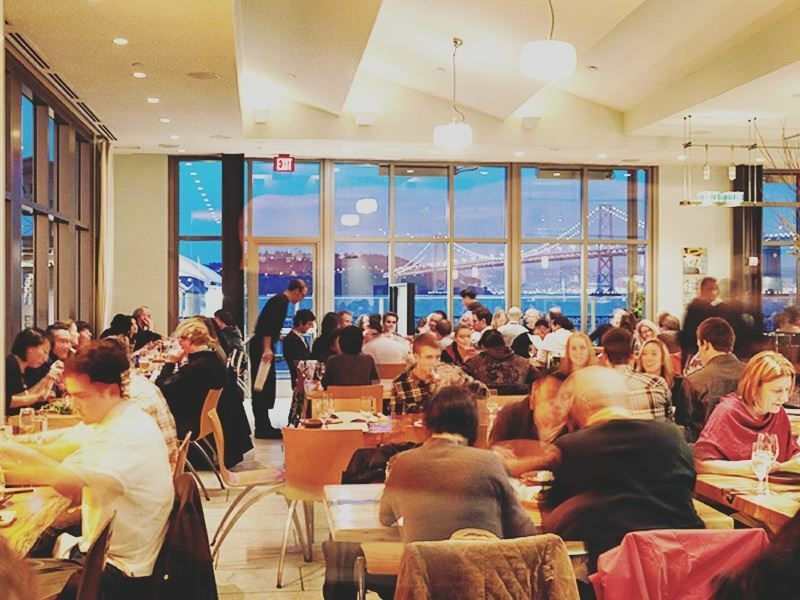 The scene: Making a reservation at the Slanted Door is the closest you’ll get to authentic Vietnamese cuisine outside of Vietnam. For every item on the menu, the executive chef travels to the original source region where he studies the local flavours and cooking techniques before bringing his newfound knowledge into his kitchen to revel diners in San Francisco. Not the best choice for a romantic dinner for two, the Slanted Door is loud due to its lively Ferry Building location and the enthusiasm brimming from every diner who steps through the entrance, eager to savour the contemporary Vietnamese fare made with fresh, local ingredients and paired with an unusual yet complimentary selection of German and Austrian wines. The modern chic design of the dining room with smooth wooden furniture, metal accents and floor-to-ceiling windows which open out to stunning sea views perfectly matches the simple, avant-garde menu. Signature dish: Grass-fed Estancia shaking beef. Eight ounces of the finest fillet mignon served with Sausalito Springs watercress, red onion and a tangy lime sauce. Where: The Bimini Twist is located on Arch Street, inside Ingleside Heights and close to Brooks Park. The scene: When you step into Bimini Twist, you get a real feel for the head chef and his food because unlike the kitchen-and-dining-room restaurants we’re used to these days, Bimini Twist is set inside the home of the head chef! Although the surroundings are homely and the atmosphere laid-back, the food and drinks are pure elegance, making this unique dining spot ideal for anyone in search of a gourmet food experience without the stuffiness of a high calibre venue. The menu changes with every sitting, but it’s always inspired by regional seafood dishes, with a strong emphasis on fresh, seasonable and sustainable ingredients. As you’d expect, walk ins are not accepted – in fact, you’ll need an invite to dine here. Signature dish: The menu changes with every dinner, so there’s no real signature dish. But if you ever see the Baja fish tacos on the menu, they’re a must-order. 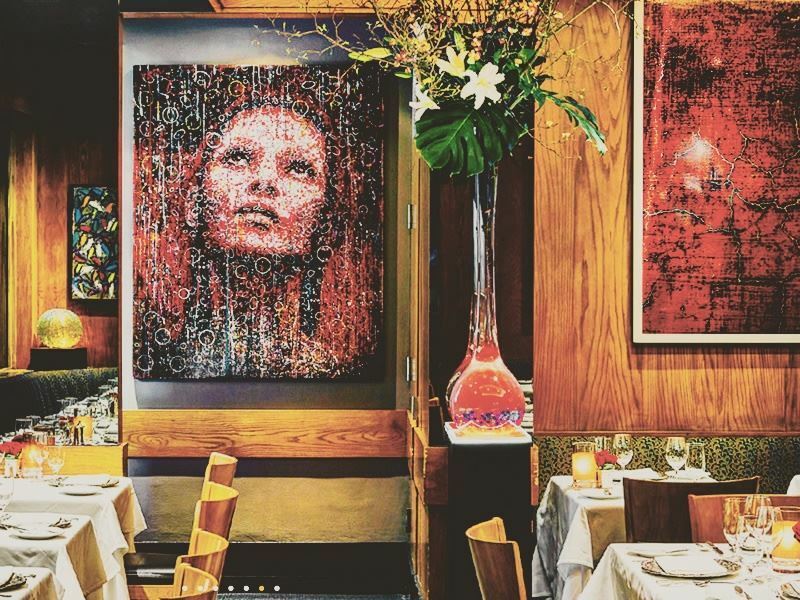 Where: Restaurant Gary Danko can be found at 800 North Point Street. The scene: The multi award-winning Restaurant Gary Danko wows from the very beginning, with dressed-to-the-nines diners bathed in flattering low light, polished marble embellishments which wouldn’t look out of place in ancient Greece and elaborate orchid arrangements everywhere you look. The result is a stylish and elegant atmosphere equally perfect for an easy-going dinner with friends or a loved up date night. The food at Restaurant Gary Danko is an exciting mix of classic French cuisine, Mediterranean fare and regional American cooking, with exotic seasonings and techniques drawn from all across Asia. Although the a la carte menu is incredibly tempting, the customisable tastings come very highly recommended and allow guests to create their own three- or five-course tasting menus which can be paired with the 2,000-strong wine list available. Signature dish: The roast Maine lobster on a bed of potato purée served alongside white beech mushrooms and edamame, all lightly seasoned with tarragon. 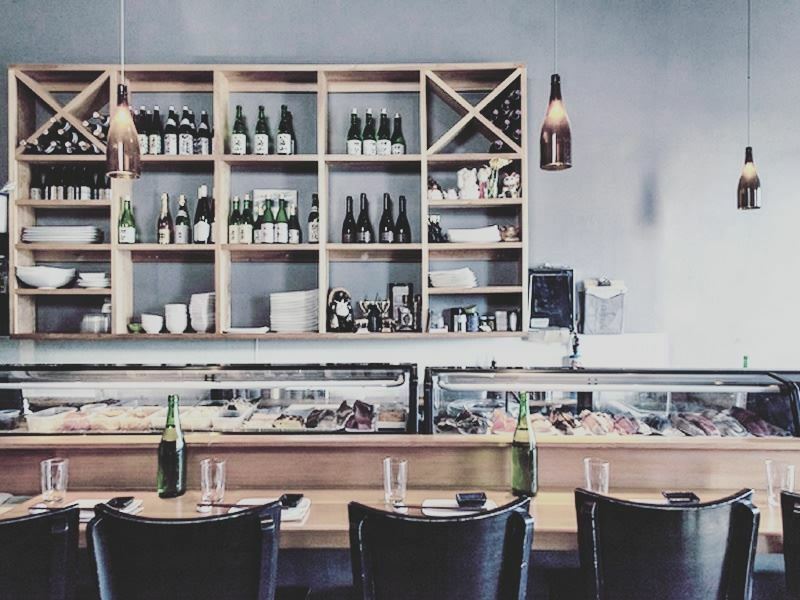 Where: You’ll find the ICHI Sushi + NI Bar at 3282 Mission Street. The scene: Blonde wood furniture, cool metal accents and a giant wall-dominating mural which shows the best way to eat sushi, ICHI Sushi + NI Bar’s stylish interior design reflects not only their simple, yet delectable menu choices but also their chic clientele. The restaurant’s 30-seater sushi bar boasts a counter for sampling omakase and watching the impeccably trained chefs do their thing, with a few tables and corner booth for quieter, more intimate dinners. The separate NI Bar acts as an izakaya (a Japanese drinking establishment which places a great importance on food) and offers a huge selection of alcoholic and non-alcoholic drinks from Japan, Europe and the US. Whilst diners in the ICHI Sushi dining room can choose from either the main or izakaya menus, diners seated at the NI Bar can only choose from the izakaya menu which is limited to mostly cooked items with a small sampling of raw choices, such as sashimi. Signature dish: The main menu is subject to change, based on seasonality and availability, but the fish of the day menu is always sublime and features several rare sushi and sashimi choices. Where: Acquerello is located at 17222 Sacramento Street. The scene: Set inside a sophisticated building which was previously a chapel, Acquerello has an air of old-world sophistication which makes spending hours getting dressed for dinner definitely worth it. The vaulted wood-beamed ceilings, Mediterranean-inspired terracotta-coloured walls and contemporary artwork combine to create an atmosphere which is classy without any pretence. For those who want to sample Acquerello’s classics, there’s the prixe fixe menu comprised of classic Italian dishes and modern day interpretations of Italian flavours available in customisable three-, four- or five-course menus. But for diners who love new culinary experiences and taste sensations, the seasonal tasting menu which combines only the freshest high quality ingredients with an ingenious take on classic Italian ingredients and state-of-the-art cooking techniques never disappoints. 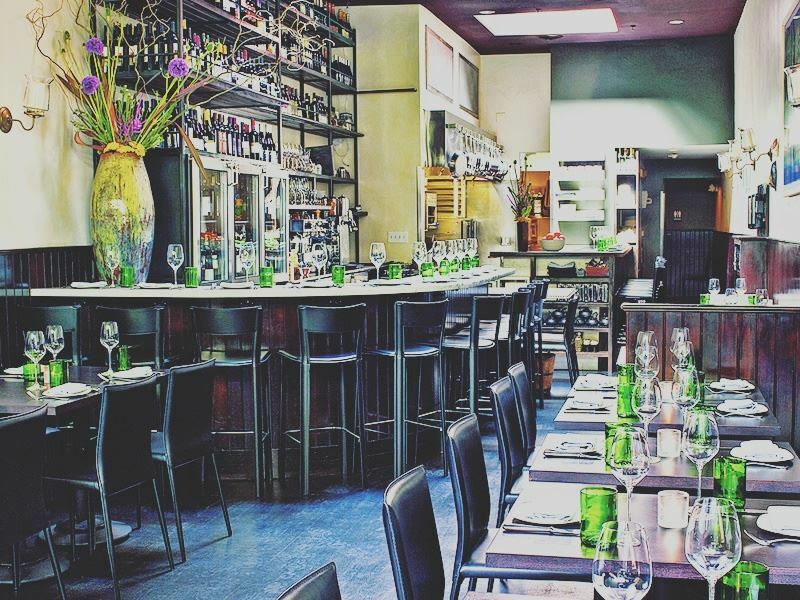 The wine menu is one of the most outstanding in the entire San Francisco dining scene, with more than 100 pages of wines from every region of Italy to choose from. Signature dish: Any pasta dish. The constantly changing menus make it hard to pick out a signature dish, but Acquerello’s pasta dishes, especially the ridged pasta with foie gras, black truffles and Marsala wine when it’s available, are reliably brilliant. 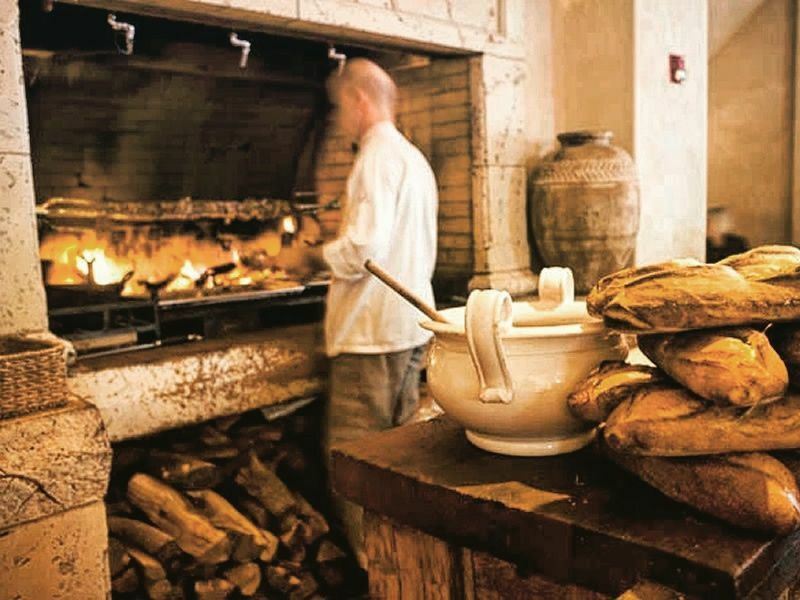 Where: Kokkari Estiatorio is situated at 200 Jackson Street (at Front Street). The scene: Boasting exceptional Greek cuisine fit for the gods, Kokkari Estiatorio is driven by the heart-warming concept of philoxenia – the art of turning a stranger into a friend. And fortunately for San Francisco diners hungry for gourmet moussaka and spanakotiropita at surprisingly reasonable prices, the chefs at Kokkari Estiatorio believe that the best way to do this is with food. Everything about the restaurant suggests a rustic Mediterranean country inn, from the cosy fireplace and extensive woodwork details to the hand-crafted pottery decorations and the freshly picked flowers in Greek-style vases. The inviting atmosphere is further enhanced by thoughtful staff whose sole aim is to please. Portions are beyond generous so go easy if you want to work your way from a salty baked feta starter all the way to a traditional sweet and sticky baklava dessert. Signature dish: Moussaka: a traditional Greek baked casserole loaded with spiced lamb, aubergine, potatoes and a yoghurt-béchamel sauce so good it will transport you back to a little wooden tavern off-the-beaten-track in Athens.